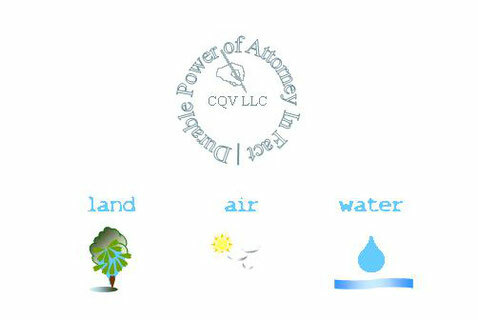 CQV LLC Durable Power of Attorney In Fact - De website van waarden! ABOUT THE FREE DOWNLOADS ON THIS CQV LLC PAGE. FREE MEANS: WITHOUT PERSONAL DATA REQUIREMENTS AND/OR PAYMENT REQUIREMENTS AND/OR SUBSCRIPTION REQUIREMENTS. PRIVATE CQV LLC AGENTS AND REPRESENTATIVES CREATE FREE TO USE PRIVATE CQV LLC CREATIVE DIPLOMATIC PRIVATE DOCUMENTS TO VISUALISE PRIVATE DOCUMENTS AND LETTERS, TO SHARE INFORMATION AND INSPIRE ONE AND OTHER. Please do not interfere with the right to freedom of opinion and expression; this right includes freedom to hold opinions without interference and to seek, receive and impart information and ideas through any media and regardless of frontiers. - UDHR, Article 19. CQV LLC AGENT/VERTEGENWOORDIGER DIPLOMATIEKE PASPOORT EN DOCUMENTEN, ZIJN ONDERHEVIG AAN VERANDERING. CQV LLC AGENTS AND REPRESENTATIVES DIPLOMATIC PASSPORT AND DOCUMENTS ARE, AS ALL DYNAMIC PROCESSES, SUBJECT TO CHANGE. OP 13 FEBRUARI 2018 HEEFT NEDERLAND ZICH AANGESLOTEN BIJ DE LANDEN DIE BIJ WET, DE AUTOMATISCHE COLLECTIEVE ORGAANDONOR-REGISTRATIE HEBBEN VASTGELEGD. DEZE WET CORRIGEERT DE HISTORISCHE CESTUI QUE VIE 'DOOD EN VERLOREN OP ZEE'- REGISTRATIE VAN ALLE GEBOORTE GEREGISTREERDEN AUTOMATISCH. IMMERS DOOD EN VERLOREN OP ZEE - ORGANEN ZIJN NIET GESCHIKT OM TE TRANSPLANTEREN. OOK WAS HET VOOR 'DOOD EN VERLOREN OP ZEE'- GEREGISTREERDEN NIET MOGELIJK OM DE RECHTEN VAN DE MENS IN TE ROEPEN EN DEZE ALS LID VAN DE WERELDGEMEENSCHAP VAN MENSEN, DAADWERKELIJK TOE TE PASSEN. 1. MET DE WET AUTOMATISCHE ORGAANDONATIE IS DE HISTORISCHE DOOD EN VERLOREN OP ZEE-REGISTRATIE, GECORRIGEERD. AUTOMATISCHE ORGAANDONATIE IS EEN COLLECTIEF AFFIDAVIT VAN STAATSWEGE. 2. HET AFFIDAVIT DAT IN VERKORTE VORM IN HET CQV LLC DIPLOMATIEKE PASPOORT IS OPGENOMEN; IS HIERMEDE AUTOMATISCH VAN STAATSWEGE BEKRACHTIGD. 3. 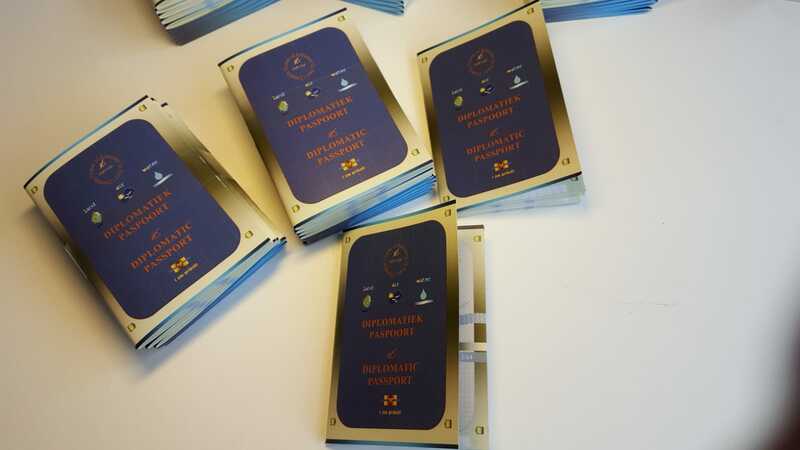 HET CQV LLC DIPLOMATIEK PASPOORT IS BEELDDRAGER VOOR JOUW INDIVIDUELE AUTONOME AUTOGRAAF. EEN AUTOGRAAF IS DE HANDTEKENING BESTAANDE UIT ALLEEN JOUW PRINCIPAL ROEPNAAM MET DAARNAAST IN BLAUWE INKT: JE WIJSVINGERAFDRUK. 4. DEZE AUTOGRAAF VERTEGENWOORDIGT JOUW HOOGSTE AUTORITEIT IN ALLE ZAKEN VAN ZELFBESCHIKKING EN INDIVIDUELE AUTONOMIE, VOLGENS DE STANDAARD VAN DE UNIVERSELE VERKLARING VAN DE RECHTEN VAN DE MENS. 5. HET PLAATSEN VAN JOUW AUTOGRAAF DIRECT OP EEN SCANNER CQ. BINNEN HET PROTOCOLAIRE DENKRAAM VAN EXTERNE DIENSTEN, MOET TE ALLEN TIJDEN WORDEN ONTRADEN! 6. MET BEHULP VAN HET CQV LLC DIPLOMATIEKE PASPOORT KAN JOUW EVENTUELE WEIGERING TOT MEDEWERKING AAN EEN INSTRUCTIE VAN EEN FUNCTIONARIS - BIJVOORBEELD HET AFGEVEN VAN JOUW VINGERAFDRUK OP EEN SCANNER VAN EEN DERDE PARTIJ - LATEN OPVOLGEN DOOR EEN ALTERNATIEF; WAARVAN DE FUNCTIONARIS IN ZIJN/HAAR EIGEN RAPPORTAGE DAN KAN VOLSTAAN MET EEN AANTEKENING. 7. JOUW AUTOGRAAF MAG GEEN ONDERDEEL UITMAKEN VAN HET WILLEKEURIGE INSTRUCTIE EN DENKRAAM VAN GEACCREDITEERDE FUNCTIONARISSEN; MAAR UITSLUITEND ALS ONDERDEEL VAN JOUW EIGEN DIPLOMATIEKE PASPOORT GETOOND WORDEN EN IN HET UITERSTE GEVAL KUN JE EEN FUNCTIONARIS TOESTAAN OM DE GEHELE PAGINA VAN JOUW DIPLOMATIEKE PASPOORT WAAROP JE JOUW AUTOGRAAF HEBT GEPLAATST, TE FOTOGRAFEREN; TENEINDE DE BETREFFENDE FUNCTIONARIS IN STAAT TE STELLEN DEZE FOTOGRAFIE VAN JOUW EIGEN CQV LLC PASPOORT; OP TE NEMEN IN ZIJN/HAAR EIGEN RAPPORTAGE. THE POLICIES OF NATIONAL AND INTERNATIONAL GOVERNMENTS (TRUSTEES) OF OUR CESTUI QUE VIE (REGISTRATED AFTERBIRTH) TRUSTS, AFTER THE SECOND WORLD WAR; MAKE IT VERY CLEAR THAT THE NATURAL LAW AND THE CONSTITUTION OF THE LAND; NOW HAVE BECOME: ADMIRALTY. THE VALUES COMPLIANT TO ADMIRALTY ARE SET FORTH IN THE UNIVERSAL DECLARATION OF HUMAN RIGHTS. IN ADMIRALTY: ALL POWERS OF ATTORNEY ARE PRESUMED. ALL IS PRESUMED. ONLY YOU HAVE DURABLE POWER OF ATTORNEY IN FACT. TO EXECUTE YOUR DURABLE POWER OF ATTORNEY IN FACT; YOU WILL NEED TOOLS FOR YOUR CQV LLC ADMINISTRATION. THE PRESENT WEBSITE IS PROVIDING TOOLS: DIPLOMATIC PASSPORT; DOCUMENTS AND INFORMATION; FOR CQV LLC AGENTS AND REPRESENTATIVES OF THE DECEDENT (YOUR REGISTRATED DECEASED AFTERBIRTH) WHEREON THE CESTUI QUE VIE TRUST WAS ESTABLISHED; ON YOUR BIRTH DATE. DE POLITIEK VAN DE NATIONALE EN INTERNATIONALE REGERINGEN (TRUSTEES) VAN ONZE CESTUI QUE VIE (GEREGISTREERDE NAGEBOORTE) TRUSTS, NA DE TWEEDE WERELDOORLOG; MAKEN HET ZEER DUIDELIJK DAT DE AANSPRAKEN OP DE GRONDWET EN DE NATUURLIJKE WETTEN VAN HET LAND; ZIJN VERVANGEN DOOR DE ADMIRALITEIT. DE WAARDEN VAN DE ADMIRALITEIT ZIJN UITEENGEZET IN DE UNIVERSELE VERKLARING VAN DE RECHTEN VAN DE MENS. DE INTERNATIONALE GEMEENSCHAP HEEFT BESLOTEN TOT HET BEHEER VAN LANDEN EN ALLEN DIE ZICH IN EEN LAND BEVINDEN; OVEREENKOMSTIG DE CESTUI QUE VIE (GEREGISTREERDE NAGEBOORTE) TRUSTS; WELKE OP DE ZEE VAN BEURSHANDEL RONDDRIJVEN; EN DE WAARDEN VAN DE ADMIRALITEIT. ADMIRALITEIT KAN HET BESTE BEGREPEN WORDEN ALS EEN HAVENAUTORITEIT; DIE DE VERHANDELING VAN GOEDEREN; VERPLAATSINGEN EN HERBESTEMMING VAN MENSEN EN GOEDEREN; COÖRDINEERT. DE ADMIRALITEIT HEEFT ALLEEN: VERONDERSTELDE BEVOEGDHEDEN! HET BELEID VAN DE ADMIRALITEIT IS VOLLEDIG: VERONDERSTELD. ALLEEN JIJ ZELF HEBT DUURZAME, BINDENDE FEITELIJKE BEVOEGDHEDEN WELKE GEBASEERD ZIJN OP JE DIRECTE AFSTAMMING (PER STIRPES) VAN DE OVERLEDENE (JE GEREGISTREERDE NAGEBOORTE) WAAROP JOUW CESTUI QUE VIE TRUST IS GEVESTIGD. DEZE WEBSITE VERSTREKT INSTRUMENTEN EN INFORMATIE AAN JOU ALS CQV LLC AGENT/VERTEGENWOORDIGER VAN DE, DOOR DE ADMIRALITEIT VERONDERSTELDE LEGALE NAMEN; VAN DE CESTUI QUE VIE TRUST VAN DE OVERLEDENE (JOUW OVERLEDEN NAGEBOORTE), WELKE HERLEIDBAAR IS NAAR JOUW ORIGINE; OP JOUW GEBOORTEDATUM. CQV LLC AGENTS AND REPRESENTATIVES ; HAVE DURABLE POWER OF ATTORNEY IN FACT AND INVOKE THE UNIVERSAL HUMAN RIGHTS; TO MAKE THEMSELVES VERY CLEAR TO THE PRESUMED POWER OF ATTORNEY. IN THE NETHERLANDS; IT WAS WIDELY PROCLAIMED IN 2013; BY THE KING; THAT THE WELFARE STATE HAS ENDED AND NOW EVERYONE MUST TAKE RESPONSIBILITY FOR HER OR HIMSELF. THIS WAS A PROCLAMATION OF THE STATE OF THE NETHERLANDS WHO IS THE TRUSTEE OF ALL INDIVIDUAL CESTUI QUE VIE (AFTER) BIRTH TRUSTS; OF EVERYONE WHO IS REGISTERED IN THE KINGDOM OF THE NETHERLANDS. WHEN A TRUSTEE STATE WHO HAS PRESUMED POWER OF ATTORNEY; PROCLAIMS; THAT THE STATE WILL NO LONGER FULLFILL ITS MANDATORY DUTIES AS TRUSTEE; IT MEANS: EVERYONE WHO WAS REGISTERED BY THE STATE; NOW HAS TO SETTLE HIS OR HER INDIVIDUAL PUBLIC BIRTH TRUST. THE PUBLIC TRUST WAS ESTABLISHED ON THE DECEDENT (DECEASED AFTERBIRTH) OF EVERY REGISTERED MAN, WOMAN AND CHILD. EVERY ONE WHO'S BIRTH WAS REGISTERED MANDATORY BY THE STATE-TRUSTEE; IS IN FACT: THE SOLE PER STIRPES RELATIVE OF THE DECEDENT WHEREON THE INDIVIDUAL PUBLIC TRUST WAS ESTABLISHED. THE PER STIRPES CQV LLC AGENT AND REPRESENTATIVE HAS DURABLE POWER OF ATTORNEY IN FACT. NO ONE ELSE. 1.FIND THE PRINCIPAL-AGENT RELATIONSHIP (PRIVATE WEALTH MANAGEMENT) OF YOUR CHOOSING; TO SETTLE YOUR TRUST AS PRINCIPAL OF MAJORITY OF AGE; AND BY WAY OF THE PRIVATE WEALTH MANAGER: INFORM ALL OFFICIALS; WHO TOOK THE OATH OF MARITIME / ADMIRALTY LAW; THAT THEY WILL HAVE TO REFRAIN FROM TREATING YOU; THE PRINCIPAL; AS THEIR 'CARGO' AND THAT YOU ARE SECURED AND PROTECTED BY THE UNIVERSAL HUMAN RIGHTS. 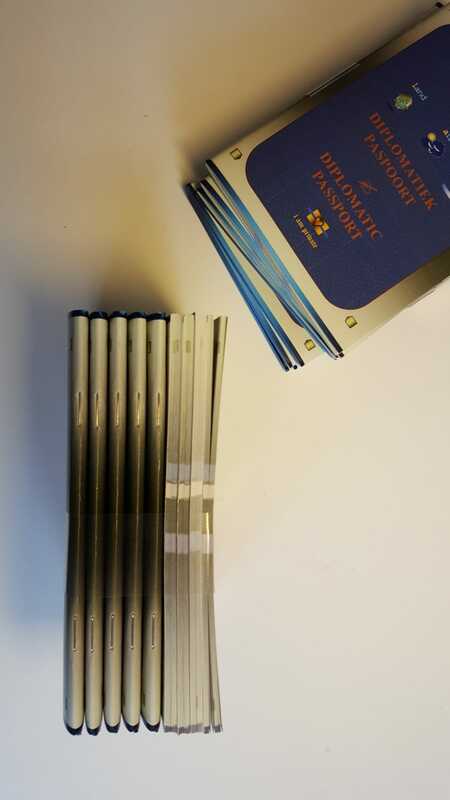 ALWAYS CARRY YOUR OWN DIPLOMATIC PASSPORT WITH YOU AND POINT OUT TO EACH AND EVERY ONE THAT YOUR TIME AND AUTOGRAPH AND SEAL FINGERPRINT IN INK IS YOUR EQUITY / PROPERTY AND YOURS ALONE! CERTAINLY NOT THEIRS! WHEN YOU ARE BEING UPHELD IN THE PUBLIC DOMAIN YOU NEED TO CHARGE YOUR FEE TIME EQUITY! YOU ARE NOT A VOLUNTEER; NO SLAVE TO ANY ONE. YOU ARE TAKING RESPONSIBILITY AS THE KING PROCLAIMED YOU MUST. 2.THE VALUES OF THE KINGDOM OF THE NETHERLANDS ARE THE HUMAN RIGHTS. ALL OFFICIALS TOOK THE OATH OF LOYALTY TO THE KINGDOM OF THE NETHERLANDS; THEY ARE ALL ADMIRALTY OFFICIALS! THE UNIVERSAL HUMAN RIGHTS ARE COMPLIANT WITH ALL AUTHORITATIVES AND OFFICIALS - THEREFORE: INVOKE THE UNIVERSAL HUMAN RIGHTS TO BE SECURED AND PROTECTED ON ANY TERRITORIAL AREA THAT IS CONTROLLED BY ADMIRALTY; THAT YOU NEED TO PASS! KEEP CALM; TAKE CARE AND INVOKE! SHOW THEM YOUR DIPLOMATIC PASSPORT AS PER STIRPES CQV LLC AGENT AND REPRESENTATIVE OF THE DECEDENT WHEREON YOUR INDIVIDUAL PUBLIC TRUST WAS ESTABLISHED. #EFFITYLER for the record > Diplomatic Document To Disentangle > Sealed Knot - NO8DO - Hyperloop - Infinity Loop - X - First Born Heir Degrading In Sea Dead / InSeaD Loop > Diplomatic Document To Fray - Free From Debt- And Work Enslavement > #Tyler Slavery In Every Form Is Forbidden > The Living First Born Per Stirpes Relative Of The Decedent (First Born's Afterborn) Testator, Upon Which A Testamentary Birth Trust Inheritance Cestui Que Vie, Was Established - Floating On The Sea Of Commerce, Is Sole Heir. 3. The Per Stirpes Living First Born Heir Is The Bearer Of An Unique Autograph And Seal. 1. At the request of the per stirpes heir/inhabitants, who are individually entitled to the testamentary trust of their own afterborn / testator, upon which the #CestuiQueVie birth trust inheritance was established, and for reasons of transparency, MYK REGENCY AMCC MCEO requests #EFFITYLER #TYLER #KRYSTALRIVERTYLER #ALHUMBHRATYLER, to provide for the immediate Verification of trustworthy EFFI Comptrollers and EFFI Authoritatives and direct and entrust Them; to activate the release of the individual #CestuiQueVie Birth Trust Inheritances for one Heir/inhabitant at a time, in Divine Right Order in the Now Time. September 12, 2018 - Sacred Law of One has overruled and overwritten 'rule of law'. Orders to the commercial beneficiary third parties to abandon conspiracy, deceit, atrocities against Human Rights and theft of Sacred Humanity's resources, in the widest sense and pass Letters of Abandonment in the public domain NOW. Voorbeeld van het VBA document, tijdens hoorzitting 23-08-2018 11:00 overhandigd aan de Rechter bij de Rechtbank te Roermond. 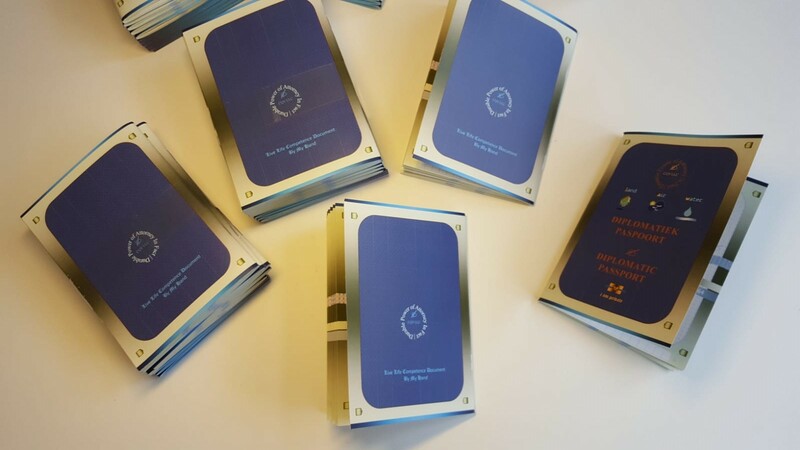 #EFFITYLER for the public record > New - free to use - version of the Private Diplomatic Passport for private, individual CQV.LLC Agents and Representatives. All symbols that were (unknowingly) referring to: tudor rose (referring to afterbirth - oyster - in sea dead status) - dharma wheel of ongoing NO8DO, sealed knot, in sea dead loop - under sea, have been removed and replaced by symbols referring to: by my own hand writing - autograph - seal and sigil - natural land, air and water (l.a.w.) references. Please fill in the provenance of delivery, track & trace codes of your notarized SBA / VBA to the Minister of Finance / Trustee and the Fiduciary Bank. This Private Diplomatic Passport contains your autograph and seal / sigil fingerprint. If any maritime commercial 'authority' demands your seal / sigil / bio-organic fingerprint DNA; you will have the opportunity to refuse to leave your seal / sigil / bio-organic fingerprint DNA in a mobile scanner of (UCC) 3P's. June 15, 2018 - CQV.LLC PRIVATE REGENT Indictment Cestui Que Vie INSEAD Felony. Free to use and/or to distribute on your own website(s); social media timelines and/or in your own network. Hereby a Model 'Statement Beneficiary Acceptance'. One has to accept the Beneficary Parties to ensure one becomes the Executor of the testamentary trusts who has the obligation of acquittal. The document undersigning in your presence has to be legalised by a notary then send to Minister of Finance and Private Banker of one's choosing. PDF-file can best be converted to Word to adjust. In de PDF-bijlage ontvang je een Akte van weigering voor een notaris wanneer die weigert de ondertekening en de ondertekenaar te legaliseren en in plaats daarvan overgaat op de inhoudelijke beoordeling van jouw private documenten. Legalisatie mag alleen betrekking hebben op de aanwezigheid van de ondertekenaar in het kantoor van de notaris tijdens de ondertekening van private documenten alsmede mag legalisatie uitsluitend betrekking hebben op de gewaarmerkte WWTF/VIS toetsing van het legitimatiebewijs van de ondertekenaar conform de norm van de KNB-Koninklijke Notariële Beroepsorganisatie. in afstamming (Per Stirpes) de nabestaande Agent en Vertegenwoordiger bent en als Beneficiair Aanvaarder, de functie van Executor vervult. Begeleidend Schrijven voor Bank bij Verklaring Beneficiaire Aanvaarding 1 ondertekenaar. Begeleidend Schrijven voor Minister bij Verklaring Beneficiaire Aanvaarding 1 ondertekenaar. Begeleidend Schrijven voor Bank bij Verklaring Beneficiaire Aanvaarding voor 2 ondertekenaars. Begeleidend Schrijven voor Minister bij Verklaring Beneficiaire Aanvaarding voor 2 ondertekenaars. 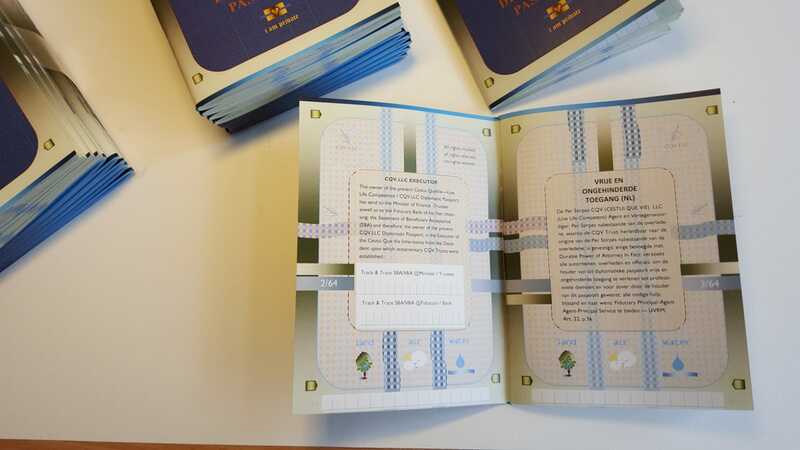 In deze voorbeeldbrief zijn de kruisjes vervangen en kun je zien welke notatie varianten van een naam worden gebruikt. Neem de notatie varianten over door ze toe te passen op de vermeldingen van jouw eigen naam in het document model. Algemeen Model voor 1 ondertekenaar met addressering aan de Bank. Voor ondertekenaars die al eerder brieven verzonden èn ondertekenaars die nu voor het eerst deze brief verzenden. De aangepaste en ondertekende versie dien je te laten LEGALISEREN bij een notaris bij jou in de buurt. Legalisatie maakt de notaris niet mede verantwoordelijk voor de inhoud van je document. Wel verklaart de notaris dat hij of zij heeft GEZIEN dat je in eigen persoon de Verklaring Beneficiaire Aanvaarding hebt ondertekend en de notaris tekent vervolgens de legalisatie en zet er het stempel op van het notariskantoor. Vervolgens stuur je het gelegaliseerde document naar de geaddresseerde Bank. Algemeen Model 'Verklaring Beneficiaire Aanvaarding"
Algemeen Model voor 1 ondertekenaar met addressering aan de Minister. Voor ondertekenaars die al eerder brieven verzonden èn ondertekenaars die nu voor het eerst deze brief verzenden. De aangepaste en ondertekende versie dien je te laten LEGALISEREN bij een notaris bij jou in de buurt. Legalisatie maakt de notaris niet mede verantwoordelijk voor de inhoud van je document. Wel verklaart de notaris dat hij of zij heeft GEZIEN dat je in eigen persoon de Verklaring Beneficiaire Aanvaarding hebt ondertekend en de notaris tekent vervolgens de legalisatie en zet er het stempel op van het notariskantoor. Vervolgens stuur je het gelegaliseerde document naar de geaddresseerde Minister. Hierbij ontvang je het model 'Verklaring Beneficiaire Aanvaarding' met addressering aan de Bank. Dit model is voor twee ondertekenaars. De aangepaste en ondertekende versie dien je te laten LEGALISEREN bij een notaris bij jou in de buurt. Legalisatie maakt de notaris niet mede verantwoordelijk voor de inhoud van je document. Wel verklaart de notaris dat hij of zij heeft GEZIEN dat je in eigen persoon de Verklaring Beneficiaire Aanvaarding hebt ondertekend en de notaris tekent vervolgens de legalisatie en zet er het stempel op van het notariskantoor. Vervolgens stuur je het gelegaliseerde document naar de geaddresseerde Bank. Hierbij ontvang je het model 'Verklaring Beneficiaire Aanvaarding' met addressering aan de Minister. Dit model is voor twee ondertekenaars. De aangepaste en ondertekende versie dien je te laten LEGALISEREN bij een notaris bij jou in de buurt. Legalisatie maakt de notaris niet mede verantwoordelijk voor de inhoud van je document. Wel verklaart de notaris dat hij of zij heeft GEZIEN dat je in eigen persoon de Verklaring Beneficiaire Aanvaarding hebt ondertekend en de notaris tekent vervolgens de legalisatie en zet er het stempel op van het notariskantoor. Vervolgens stuur je het gelegaliseerde document naar de geaddresseerde Minister. Je kunt deze stempasbrief aan de Minister hetzelfde kenmerk meegeven als je (gelegaliseerde) 'Verklaring Beneficiaire Aanvaarding' voor zowel de Minister als de Bank en deze alsnog met je documenten - aangetekend - aan zowel de Minister als de Bank incl. kopieën van je document aan de Minister voor de Bank en kopieën van je document aan de Bank voor de Minister, meesturen. Volg de verzending online via Track & Trace en maak een printscreen van het moment van bezorging en bewaar deze printscreen zorgvuldig. Je kunt deze stempasbrief aan de Bank hetzelfde kenmerk meegeven als je (gelegaliseerde) 'Verklaring Beneficiaire Aanvaarding' voor zowel de Minister als de Bank en deze alsnog met je documenten - aangetekend - aan zowel de Minister als de Bank incl. kopieën van je document aan de Minister voor de Bank en kopieën van je document aan de Bank voor de Minister, meesturen. Volg de verzending online via Track & Trace en maak een printscreen van het moment van bezorging en bewaar deze printscreen zorgvuldig. Uitleg van de Titel: Per Stirpes CQV LLC Agent en Vertegenwoordiger. De Per Stirpes CQV LLC Agent/Vertegenwoordiger van de overledene, waarop de CQV (na) geboortetrust is gevestigd, is -door afstamming (Per Stirpes) enige bevoegde/ enige erfgenaam/vertegenwoordiger van de overledene. Explanation of the Title: 'Per Stirpes CQV LLC Agent and Representative'. Per Stirpes CQV LLC Agent and Representative has Durable Power of Attorney In Fact. 9-3-18 PRIVATE CQV LLC POSTMASTER PUBLIC NOTIFICATION PRIVATE CQV LLC AGENTS AND REPRESENTATIVES / PRIVATE CQV LLC BLOG USERS: WAARDEN.JIMDO.COM, HAVE SEND TO: MINISTER VAN FINANCIËN: 09-03-18 16:25 - POSTNL TRACK & TRACE 3SRPKS718899377 TO: Postbus 20201 2500 EE 's-Gravenhage. Deze voorbeeldbrief voor CQV LLC Agents en Representatives aan de Minister van Financiën In Personam 1.] Kennisgeving van in bewaring stelling van de originele stempassen en 2.] Verzoek om Cestui Que Vie Instructie aan de Fiduciary Bank. NL: WE ZIJN DRUK BEZIG OM EEN GEBRUIKSVRIENDELIJKE PRINTABLE VERSIE MET DE JUISTE PAGINA-VOLGORDE TE MAKEN. 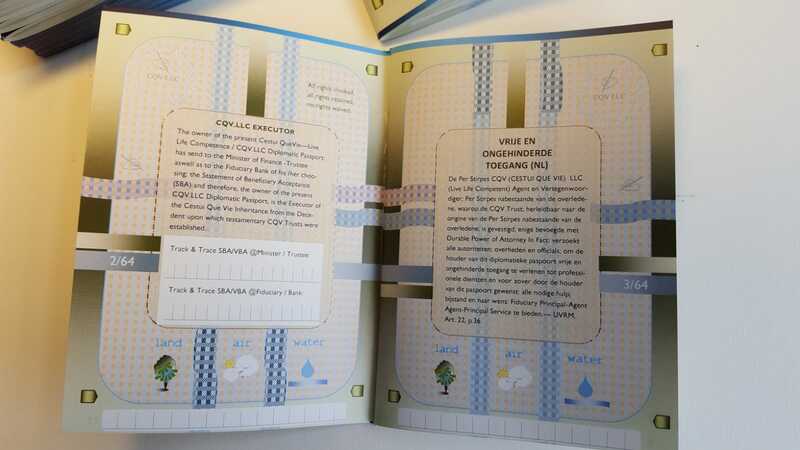 EN: WE ARE BUSY CREATING A PRINTABLE VERSION FOR YOUR CQV LLC DIPLOMATIC PASSPORT. FREE DOWNLOAD (FREE MEANS: WITHOUT PERSONAL DATA AND/OR PAYMENT REQUIREMENTS AND/OR SUBSCRIPTION REQUIREMENTS) AVAILABLE SOON ! Carry your Diplomatic Passport with you AND your legal ID; for your TITLE is: 'Per Stirpes CQV LLC Agent and Representative'. You IN FACT are the sole Per Stirpes Relative of the Decedent ( your Deceased Afterbirth) whereon your individual public CQV Trust was established. As a Per Stirpes Relative of the Decedent; you are entitled to act accordingly. 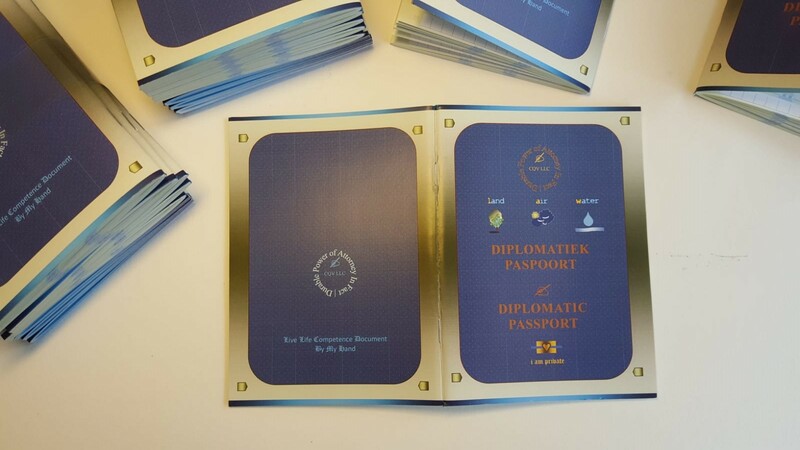 Create your own Diplomatic Passport by printing and cutting out the pages then create your own Diplomatic Passport. 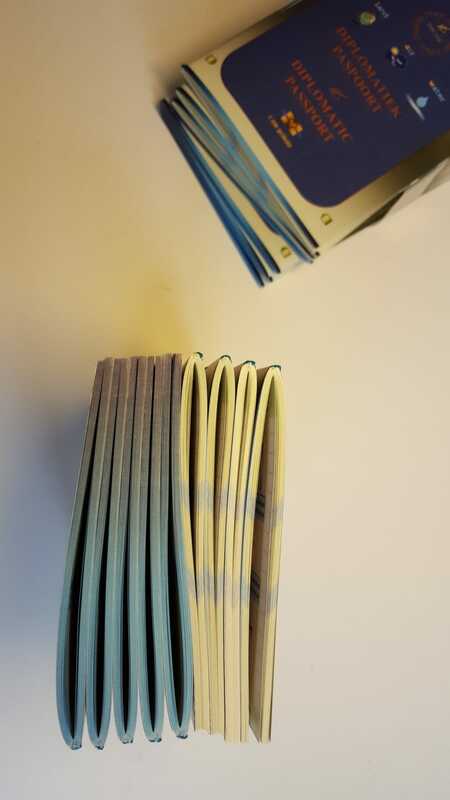 You can also use the printed pages as your document whenever it is necessary to define yourself. Fill the document in and place your autograph and seal fingerprint as indicated on the pages and use a red ink stamp: "Copy" on all 46 pages. This document will clearify to any official your diplomatic status and title; within areas that are controlled by Admiralty. Remember: ALL are subjected to Admiralty law (politics; police; judges; notary; lawyers; hospitals; banks; insurances etc. etc. All institutions are SEA PORTS.). 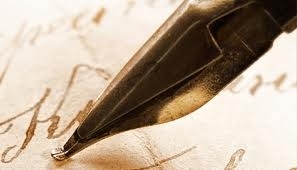 The authograph is solely your given or creator's name and the seal is your fingerprint in ink. De autograaf is je roepnaam en het zegel is jouw vingerafdruk met inkt stempelkussen. CQV LLC Agents and Representatives have Durable Power of Attorney In Fact.